With the purpose of enhancement of the role and responsibility of young scientists in the formation of scientific policy and potential of the University, uniting together efforts in solving priority scientific problems for the University, realization of real integration of science and education at the Educational Institution “Grodno State Medical University” a permanent collective deliberative body – the Young Scientists Council – is functioning. There are fewer grounds today than in the past to deplore a North–South divide in research and innovation. This is one of the key findings of the UNESCO Science Report: towards 2030 launched on 10 November 2015. 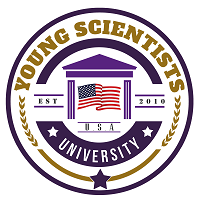 The Young Scientist Roundtable program is a joint effort with our neighboring districts. It is a monthly program, designed for students in kindergarten through 12th grade and their parents to learn about exciting ideas and developments presented by professors and prominent experts in many scientific fields. It is hosted by the Wayzata Public Schools.